The 2019 Almanac is now available @ R10 per copy. 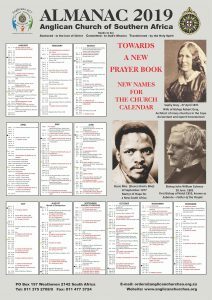 contains information on the Church Calendar. 10% discount on 10 or more copies. Is it available in Portuguese? No I’m afraid it has not been translated this year.